We work in various ways with homeowners/public, builders, designers/architects, and installers/floor stores to find the right hardwood flooring product for any situation. While purchases are limited to the flooring trade, assisting in the selection process is our specialty. At Musolf’s Wood Flooring we provide gorgeous and unique flooring options for your beautiful home. The area we serve is Minnesota, Iowa, Wisconsin, North Dakota and South Dakota. 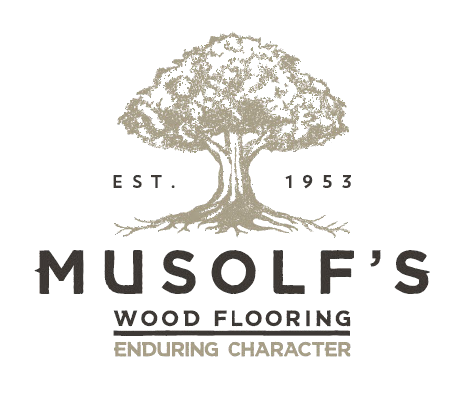 Musolf’s works in various ways with homeowners and the public, builders, designers and architects, installers and floor stores to find the right hardwood flooring product for any situation. While purchases are limited to the flooring trade, assisting in the selection process is our specialty. Homeowners: Our Twin Cities based showrooms are open 7am-4pm Monday through Friday and only by appointment. We welcome phone calls and personal visits to assist in the hardwood flooring decision-making process. If you are not already working with a Musolf’s account holder we can provide qualified referrals upon request. Please keep in mind Musolf’s personnel cannot address questions that pertain to price. Builders: Builders and their customers are encouraged to use our showrooms to make selections. Please call ahead, schedule an appointment, and prepare your clients with the name of the organization performing your installations. Samples are available upon request. Architects & Designers: With members of Musolf’s Wood Flooring staff designated to cater to the A & D community and with a library of products from all over the globe, we feel confident we can find the right fit for any project. We specialize in presentations at firms and can assist you and your clients with selections in any of our showrooms. Samples are available upon request. Installers & Floor Stores: Our direct customer is the flooring trade. Whether it’s utilizing our showrooms or asking technical questions to our knowledgeable staff, we are here to help you make a living in flooring.